Bill: "You have to stay in timeout for 3 minutes." 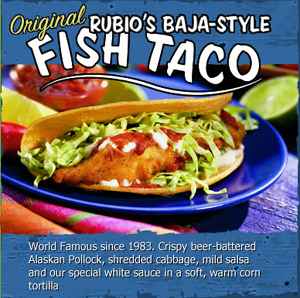 Bill: Okay, have it your way. 4 minutes." I guess newfound counting skills can backfire on you sometimes. Good News: I crushed my previous personal best with a time of 20:31! Bad News: The course was not measured properly. It was about 3/10 of a mile too short. I was pretty disappointed yesterday because I was doing pretty well and probably would have been able to beat my personal best if the course had been the right length. I was a little behind the pace of my previous best, but I'm sure I would have been able to pick up the pace for the last 1/4 mile. The only problem was, there wasn't a last 1/4 mile. What a rip off! At least I'm able to see how I did in proportion to everyone else—I placed 15th out of 203. Tomorrow it will be one year since I started running. I didn't plan it this way, but I have a 5K race! It's supposed to be in the 90s tomorrow, so I guess I should be thankful that the race starts at 8:00 a.m. I'm hoping for a personal best despite the fact that my muscles aren't used to working that hard that early in the morning! I've decided to post the full versions of all tracks from "Compline" in MP3 format (I used to have excerpts). If you enjoy the music, please consider buying a copy of the whole CD, which is now being offered for $10. You can click on my PayPal button or contact me via e-mail. The "Soul Winning Church" puts a strong emphasis on evangelism. The "Experiencing God Church" is mainly focused on worship experiences. The "Family Reunion Church" tends to put relationships within the church above all else. The "Classroom Church" often has the word "Bible" in its name. It emphasizes teaching. The "Social Conscience Church," whether it has a liberal or conservative mentality, focuses mainly on politics and influencing society. Obviously, the point is that all of these things are important and that we need to balance them. The article grabbed my attention because it always seems like proponents of the next best thing like to proclaim adamantly that their emphasis is God's original intention for his church. I believe that we need to be careful to not let our passion keep us from having a balanced sense of purpose for our churches and for our lives as Christians. What do you think of the categories? Where would you or your church fit in? Check out this pro-life video by Nick Cannon. You can also vote for the video for MTV's TRL here. I just wanted to say congratulations to my baby bro' Adam for his first day of law school. 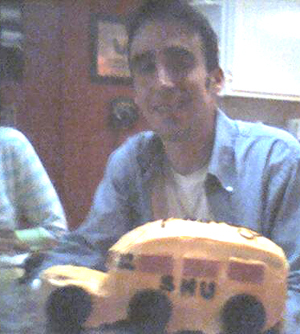 A few minutes ago I received this picture of him with the school bus cake my Mom baked for him!